You need a home, a good-sized one that is safe for your growing family and affordable for your income. When looking at homes to purchase, you begin to realize that almost all of them need work. There are cracks in the floor, water dripping in the crawlspaces, and doors that stick when you go to leave. These little things aren’t meant to be overlooked – they’re a sign that the home is in need of some serious foundation repair. It can be hard to find a “perfect” home that’s also safe and stable. Instead of purchasing a home, more and more homeowners are becoming interested in building a custom-designed home of their own. New construction has many benefits, such as creating the perfect home for your family or being able to use eco-friendly products in the construction. But the biggest benefit, by far, of a new home is the ability to install underpinning before your home’s foundation has a chance to cause any problems. While many homeowners are beginning to discover that the foundations of their homes are sinking and causing dangerous damage to its structural integrity, you can rest assured knowing that your home is safe and stable from the beginning. Naturally, homes sink and settle over time. This is especially true in Georgia, where shifting, uneven soil can cause gaps under your foundation, cracks in your floors, and bowing walls in your basement. With bigger and bigger homes becoming more popular, extra stability is key. Many homeowners chose to contact Atlas Piers after they discover sticking windows or leaning walls, but installing piers in your home while it is still being constructed can keep these problems from occurring in the first place. This can greatly reduce hassle and spending over time. Why wait for the inevitable when you could save yourself so much work later on? 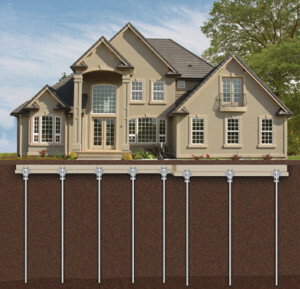 Installing underpinning in your home as it is being constructed is one of the wisest investments you can make to ensure the safety of your home for years to come. There are a variety of piers you can use in your new home, including helical piers and push piers. Both kinds of piers are designed to improve the stability of your home. Push piers are pushed into the ground near your foundation, stabilizing the slab that would otherwise begin to sink over time. Helical piers are screwed in and, in some cases, are a more stable option. Helical piers keep your home’s foundation from heaving and consolidating because of moisture or other problems like tree roots. Helical pier installation is simple, especially in new construction. But why bother putting underpinning in a new home? All homes will sink and settle, regardless of age. 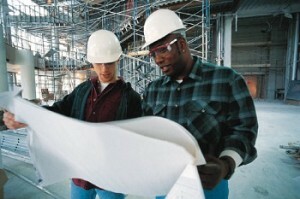 However, there are many factors that can determine how bad the settling will be. When a home is poorly constructed and the soil beneath it poorly compacted, a home is more likely to shift. Even the best construction companies cannot perfectly compact soil 100% of the time, and this is to be expected. However, when you are buying a pre-owned home, you are often less aware of any problems that have arisen from poor construction. This can be dangerous for a homeowner. The soil beneath your home is also a factor, as clay and sand are more likely to shift, shrink, and expand. Water can also cause exponential damage to a home’s foundation. Sadly, these problems, such as soil and water damage, are incredibly unpredictable. Nobody can tell whether a flood will lead to your foundation cracking ten years after you build a house. This is why underpinning in new construction is so important. You never want to leave the well-being of your home to chance. Instead, trust Atlas Piers of Atlanta to install quality helical piers in your home before problems even begin to arise. Instead of worrying ebery time you hear a stair creak as your house settles, you can rest easy knowing that you have properly prepared your new home for the future. Contact Atlas Piers today for more information on new construction underpinning for residential and commercial properties.